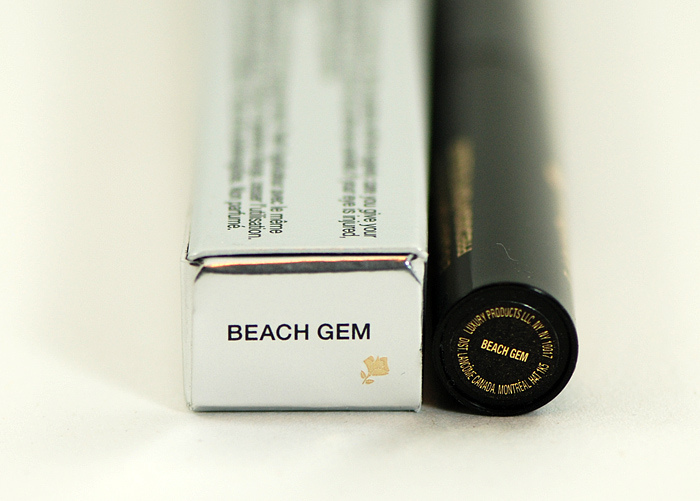 Lancome's liquid eyeliner in Beach Gem is one of two new Artliner colors that are waterproof. 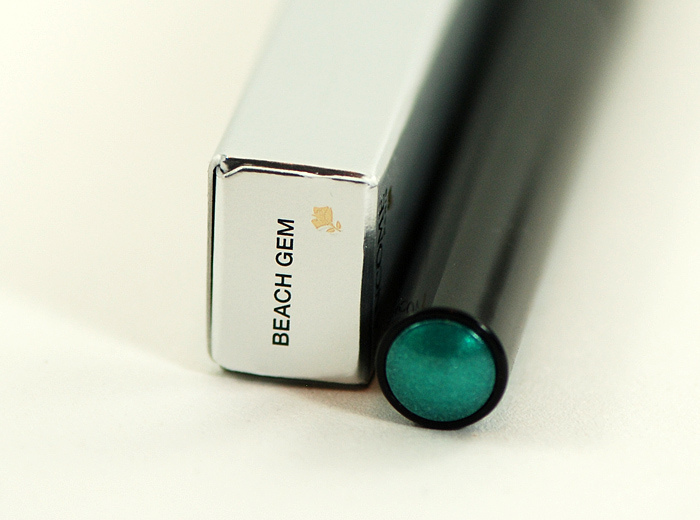 It is a lovely teal that is really bright and perfect for the summer. 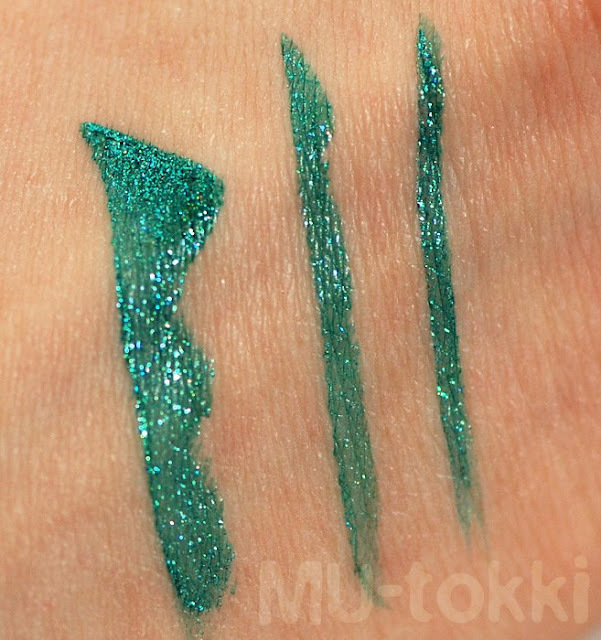 The color of the actual liquid liner matches the glitter in the tube which is nice, but it does seem to feather on me a little bit. The glitter can apply streaky but only if it is not shaken well beforehand. 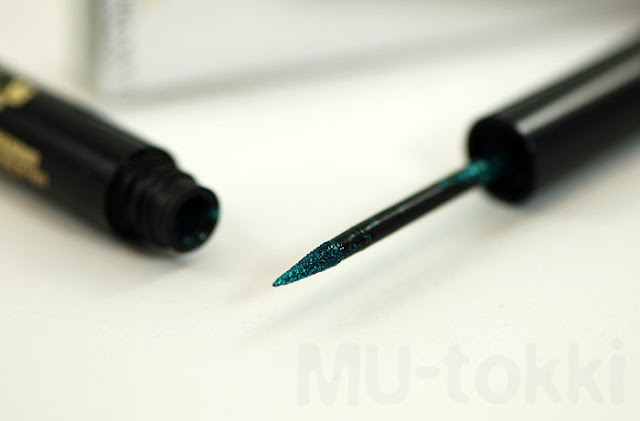 The applicator is a pointed tip (like most liquid liners recently) that's very flexible. For me it takes about ten seconds to set and has great, long lasting wear. It does however stain my skin which I am not a fan of. 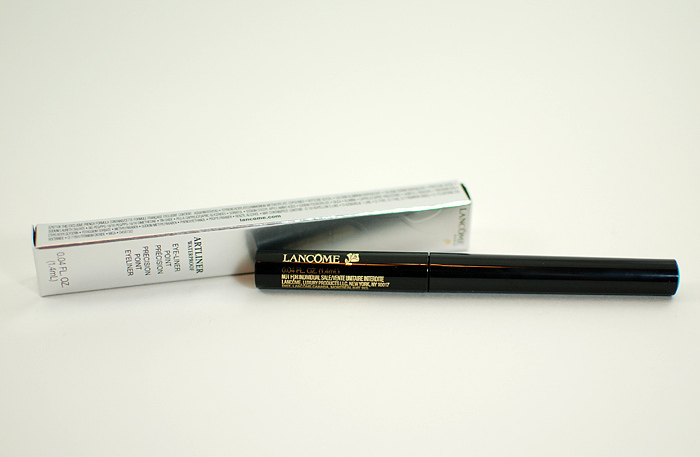 But the staining is something I can live with though since Lancome's Bi-Facil makeup remover is amazing! Also, Beach Gem doesn't burn the skin on and around my eyelids like the Urban Decay liquid liners ones do. It is fairly expensive, but overall is a great liquid liner.